WeChat has become a lifestyle with over 1 billion active users. WeChat Pay means not only payment but also business opportunities. YaBand Pay has officially launched WeChat Pay agency services. We have received many inquiries from many Dutch organizations so far. Merchants have shown great interest in WeChat Pay. However, merchants registered in the Netherlands may have concerns as to what is the process of payment flow or whether payment via WeChat Pay is legally approved by the Dutch authorities. These concerns are of utmost importance to Dutch-based businesses, which are what we would like to address in this article. First of all, YaBand Pay established cooperation with a Dutch payment institution – PayPro. Together we have obtained official authorization from Tencent to operate WeChat Pay in the Netherlands. Our partner holds financial license issued by De Nederlandsche Bank (DNB). All transactions are directly monitored by DNB and approved by Dutch tax authorities, leaving no opportunity for tax evasion . Second of all, merchants need to set up an Euro account, which is independently monitored by DNB and not influenced by any operation through YaBand Pay. The merchant will receive an account number and a corresponding password. After logging in, the account holder shall have access to transaction history, balance and withdrawal etc. Dutch merchants can set product prices in EUR. 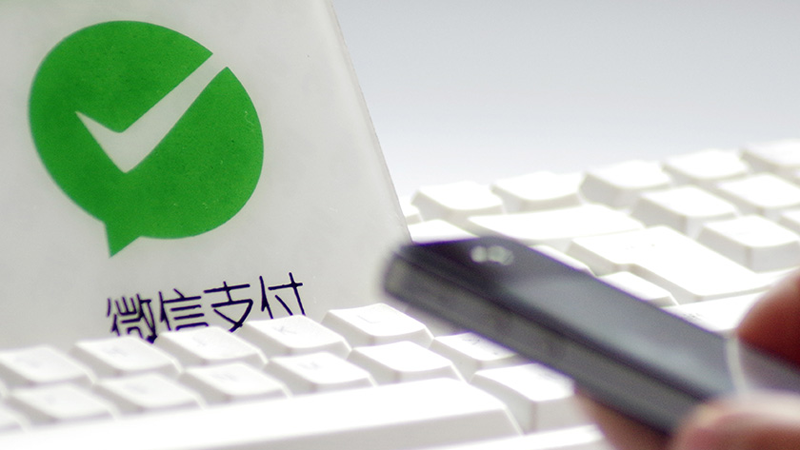 Customers can perform payment through WeChat Pay in CNY. For instance, once payment is made successfully by the customer, WeChat will deduct the amount in CNY, according to real-time exchange rate, from the customer’s digital wallet or the associated bank account. At the same time, the merchant shall receive the right amount of money in EUR in the Euro account and the payment detail. 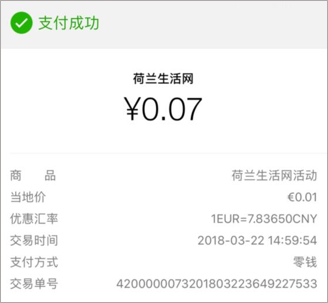 In this case, the customer pays with CNY and the Dutch merchant receives the payment in EUR. The merchant can use the account number and password to log in to the official website and apply for withdrawal anytime. The amount required will be transferred to any Dutch bank account, which is bound to the merchant’s WeChat Pay account, on the next working day (T+1). 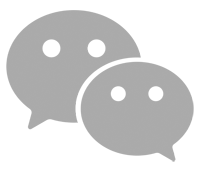 Therefore, the WeChat Pay solution provided by YaBand Pay is guaranteed by the officially authorized payment institution, PayPro. All payment shall be deposited in the business account monitored by DNB. The whole process will be legal and safe, free from any tax problem. Any legal organization registered with KvK can apply for WeChat Pay through YaBand Pay. 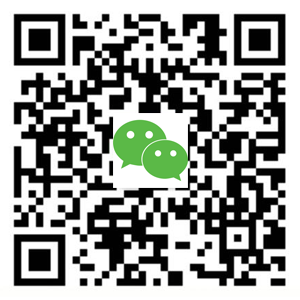 Moreover, you can also choose to set up an overseas WeChat service account which incorporates both payment solutions and marketing functions. *All transactions must conform to the Dutch law and stipulates by WeChat. No money laundering or illegal foreign exchange transactions is allowed.